Heartbreakingly endearing and downright kooky, the ladies of ‘Grey Gardens’ continue to cause a stir more than thirty years after they debuted on screen. While the charmingly ‘s-t-a-u-n-c-h’ mother and daughter may have idly dreamt of becoming stage stars in their lifetime, an acclaimed Broadway musical has posthumously realised their showbiz vision, writes Indigo Clarke. 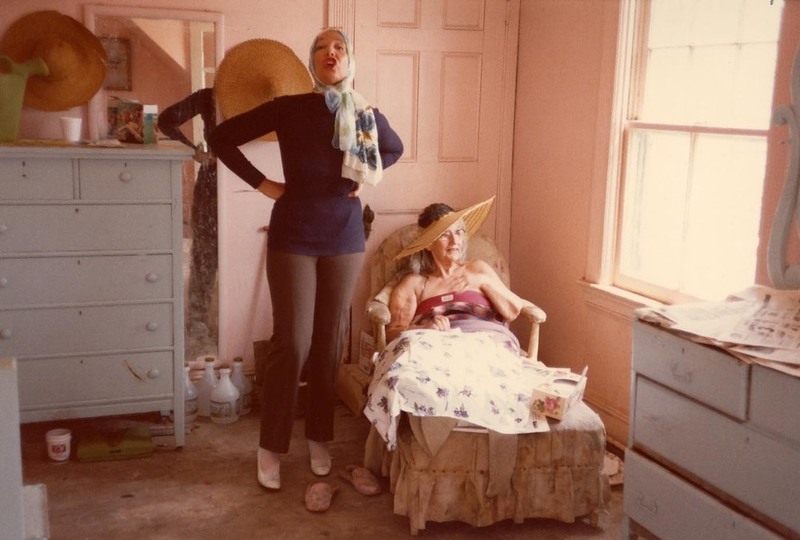 It's been decades since documentary filmmakers Albert and David Maysles captured intimate and outrageous moments inside ‘Grey Gardens’, a 28 room decrepit East Hampton, New York estate, inhabited by Edith and Edie Bouvier Beale. Singing, dancing, squabbling and philosophising inside their ramshackle cat and raccoon infested mansion, The Beale ladies were catapulted to cult stardom by doing nothing more than being their utterly original selves. Now with an award-winning Broadway musical in their honour, it’s not just crazed underground fans quoting their dialogue verbatim and dressing in Edie-like garb – Grey Gardens has hit the mainstream. 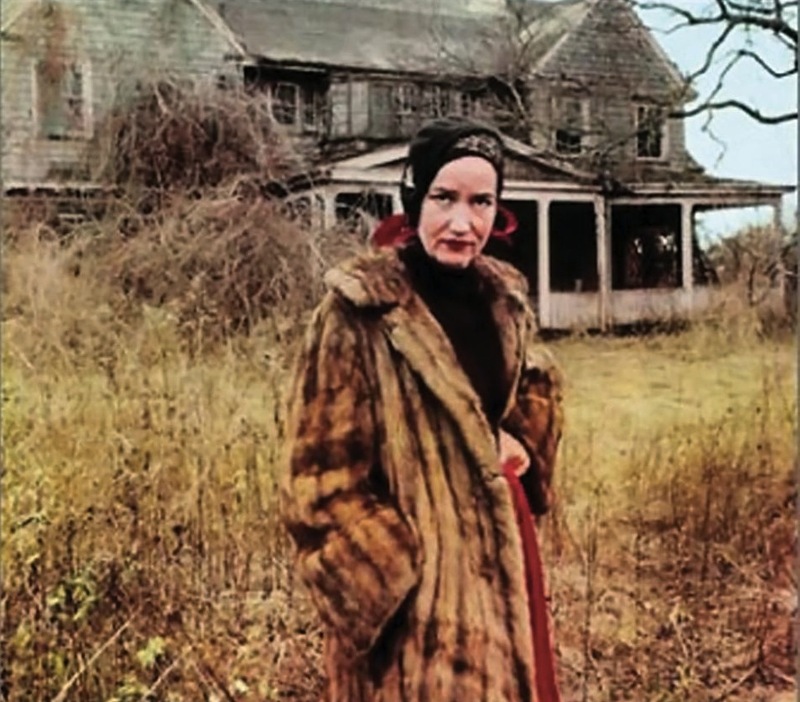 The Maysle’s film, ‘Grey Gardens’, from 1975, exposed the eccentric lives of Long Island's once illustrious and beautiful Bouvier Beales women, in all their whimsy and fading grandeur. Trapped in a reclusive world of reverie and melancholia, their lives reflected a Poe-esque tale where aging belles of the ball awake to find themselves reduced to tattered frocks and memories. Irresistible documentary subjects, on top of their extreme personalities and squalid living conditions (their mansion had been deemed inhabitable by authorities in the early 1970s), ‘Big Edie’ and ‘Little Edie’ Beale also happened to be the aunt and cousin respectively of Jacqueline Bouvier Kennedy Onassis. Once the crème de la crème of the New York social register, Jackie O’s eye-catching cousin Little Edie was a fashion model, singer and actress, romanced by affluent men including Joseph P. Kennedy Jr, J. Paul Getty and Howard Hughes. But after several years of living in New York pursuing her dreams of dancing [“I didn’t want to leave, I was getting my big chance!” she exclaims in the documentary], she left Manhattan to look after her mother in the rambling seaside home post her parents ‘illegal Mexican divorce’. 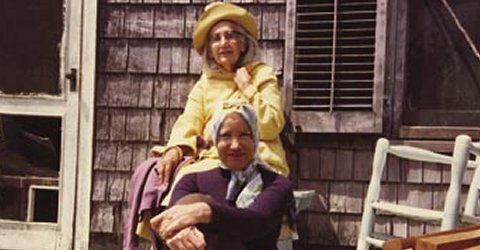 Remaining at ‘Grey Gardens’ for the next twenty five years, the Edie’s rarely went out or entertained, Big Edie spending most of her time in bed mixing cocktails in a jam jar beside sleeping cats, while the house and its renowned gardens fell into disrepair. While the Maysles brothers’ "direct cinema" full-disclosure of the Edie’s squalid, yet remarkable, existence in a patrician town caused a scandal upon release, the charm and personalities of these non-conformist women have lasting appeal. What from the outside may have looked like a house of cats and crazies was revealed by the Maysles as a fantasy world where declining youth and surrounds were overlooked in favour of costumes, music and ice-cream. At once incisive and dotty, the women and their bizaare antics, as well as their endlessly quotable banter, have secured obsessive fans and a place in celluloid history. Ironically, what may have been the initial motivation for the film – their eminent family connections – proved to be the least interesting thing about the pair who have gone on to become one of fashion and cinema’s most enduring muses. With her “revolutionary costumes” consisting of upside-down skirts pinned around stockinged legs and turban-like bejeweled scarves and sweaters over the head, the childlike and tormented Little Edie has inspired shoots in Vogue and Harpers Bazaar, and collections by fashion designers Calvin Klein, Todd Oldham and Marc Jacobs. The sartorial star and her bohemian mother have not only prompted a feature film version of their lives starring Drew Barrymore and Jessica Lange (currently in production), but have now become the subjects of the ‘Grey Gardens’ musical composed By Scott Frankel and Michael Korie, based on the book by Doug Wright. That the documentary could spawn a book, and more surprisingly, an extravagant musical, is testament to the ongoing allure of the Edie’s. “People get so passionate about the Edie’s, as though they were members of their own family,” explains composer and co-creator, Scott Frankel, of his successful production starring Christine Ebersole and Mary Louise Wilson. “One rabid fan accosted me in the street, furious to think the Beales could have been turned into stage characters. Little Edie used to say all through her life, ‘Noone could play me’, so the documentary will always be the definitive – you can’t get more them than them.” Aside from a rabid fan or two, the response to the musical has been overwhelmingly positive, opening off-Broadway in February 2006, ‘Grey Gardens’ re-opened at the Kerr Theatre on Broadway in November 2006 to glowing reviews. With such unlikely, and vaguely insane, source material and concept – a musical based on a realist documentary using original dialogue and faithful recreations of characters, clothing and background – the creators really needed to believe in the project to see it come to life. What audiences are able to see in the first act of the musical, remiss in the documentary, is a rendering of the Beales previously fabulous life. “I thought it was so important to show what the house was like before the decline,” insists Frankel. “In the film you see pictures and portraits of the ladies when they were young and beautiful, and the big question hanging over the film is, ‘How did this happen to them when they were so stunning, wealthy and educated?’” By replicating what may have happened in the past, Frankel hopes to shed some light on what shaped their decline. Noting that audiences forever wonder why Little Edie, with so much charisma and fashion panache, was unable to live an independent life, Frankel ponders that perhaps the cosmic order of things have been set to rights, with Edie now finally becoming a stage heroine.